17 year old Cruz Zachary from Cortland, NY. Just signed a one year contract with Team Durango USA, to pilot their latest two wheel drive and 4×4 short course trucks. Zachary has only been racing R/C a little more than five years. 2012 has been his break out season with multiple wins in the outdoor season at Outback Raceway, as well as some top five finishes at CRC in Rome, NY. Cruz had a real strong run at the Short Course Nationals in Conn. this past summer. He also won the points title in 4×4 SC and second in points in SC buggies in the North South Shootoout Series at CRC, and Outback Raceway this past summer. 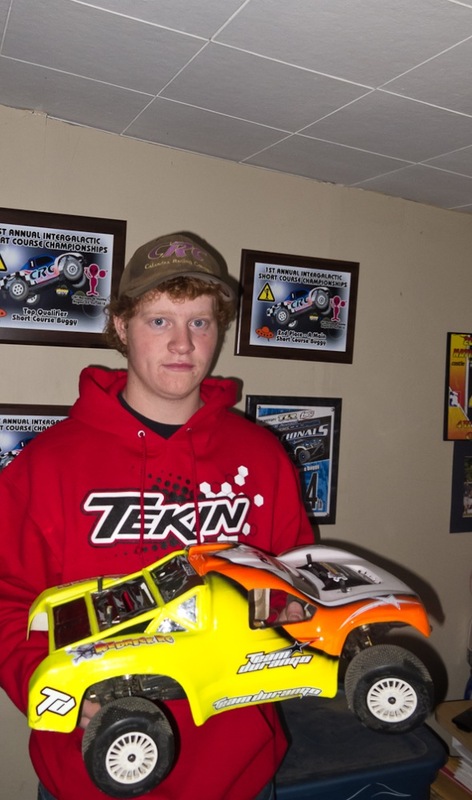 The new trucks from Durango have been real fast so far this fall on the indoor clay at High Octane RC in Syracuse, NY. Zachary has had two nights that he has won both classes on the high bite clay in the Salt City. Cruz is also a team driver for RC SOUP, and Redneck RC in Fulton, NY. Cruz has started filling his calender for the up coming winter racing season. He plans o traveling around the east coast this winter with his new Durango’s. The first national race will be the always popular MOTORAMA in February. Motorama is located in Harrisburg, PA. This event brings a lot of the big names from all over the nation to battle on two separate tracks, in the 1 million square foot expo center. Cruz also just signed a deal to run Panther RC Racing tires on his Team Durango trucks for the 2013 racing season. Say tuned through out the year to for updates on all of the exciting racing from Team Durango USA driver Cruz Zachary. can your track still be used up to the first snow fall?